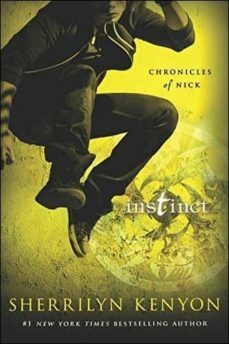 Dark-Hunters, Daimons, zombies, demons, shapeshifters another day in the life of Nick Gautier and those are just his friends. But now that hes accepted the demon that lives inside him, he must learn to control it and temper the very emotions that threaten the lives of everyone he cares for. Something thats hard to do while trying to stay off the menus of those who want his head on a platter. And no one wants him more than the dark gods who created his race. Now that they know where he is, they will stop at nothing to reclaim him. And without knowing it, Nick has just embraced the one person he should never have trusted. The one person who will hand him over to his enemies to get back the life they lost. Nick has finally accepted his fate, now he must learn to defy his destiny, and the dark, deadly forces that will stop at nothing to destroy everyone he loves so that they can again return to the world of man and own it.